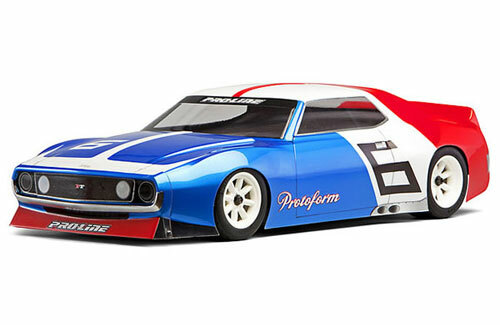 After receiving many requests, PROTOform is proud to release it's rendition of the 1971 Trans-Am Championship winning car. 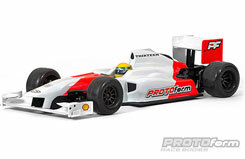 The addition of the J71 to the VTA scene will surely add new excitement and drama to an already diverse class of racing. The J71 features all the unique styling cues of the original car as well as is a molded in rear spoiler. The front of the car features an add-on nose with air dam. When mounted with shoo goo and 2mm screws it becomes an integral part of the body. 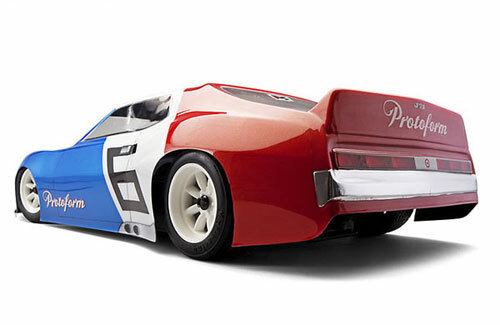 Because this area of a racebody is the most prone to racing wear and tear, a second nose is supplied with the body. This configuration allows for molding a lightweight, durable .030 lexan body, which in turn aids the handling ability of any VTA chassis. The VTA class has already proven that it's loved by all. The PROTOform J71 will hopefully make it even more colorful! It's a supercar that was 10 years in the making. One of the most head-turning, heart-stopping street cars ever designed. A limited edition, V10, 200mph work of art� and it's now available for your 1/10th scale touring car. PROTOform is proud to release its rendition of the Lexus LFA body for R/C drifters, USGT Class racers and supercar enthusiasts alike. 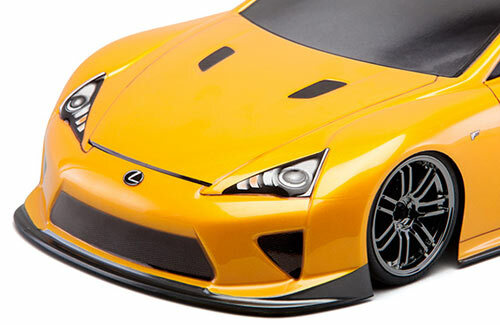 The LFA features sleek, yet muscular styling and includes two rear wing options: a racing-style lexan wing, or a molded nylon wing for a true to scale, exotic look. This officially licensed product is designed to fit 200mm touring cars but will also easily fit your 190mm chassis with the use of wide-offset wheels or wheel spacers. 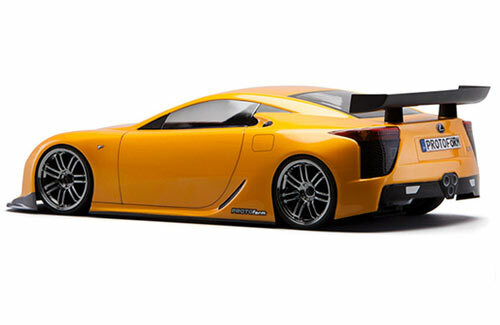 The PROTOform Lexus LFA is molded in genuine .030 Lexan material and comes with protective overspray film, window masks, detailed decal sheet and hardware to mount the struts and wing. 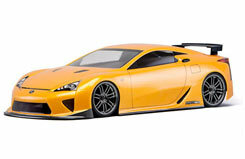 Transform your R/C touring car into a supercar with the PROTOform Lexus LFA. The F1-Thirteen features styling from the 2013 season, including the high-nose and Coanda exhaust detailing. 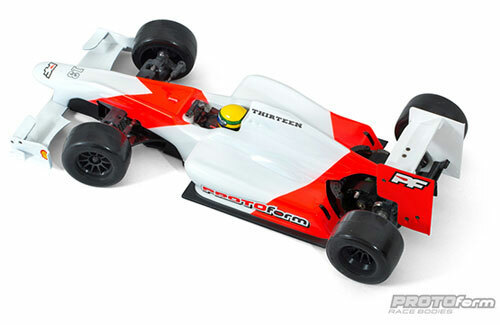 Side-pod undercuts, an overall low-slung design and the included injection moulded black nylon driver�s helmet give it the ultra-realistic look that F1 R/C racers strive for. 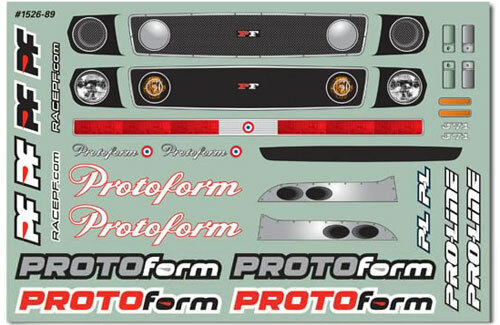 The decal sheet, featuring seatbelts, steering wheel detail, car numbers and a variety of helmet visor colors, completes the scale detail. The F1-Thirteen fits most modern F1 chassis and requires Tamiya�s F60 Front wing (#9115267 or #9115357). 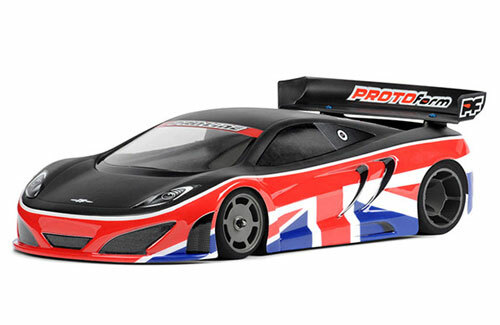 *With trimming to fit front suspension and rear pod areas **Front & rear wings not included. •Please note: All bodies are sold in crystal clear lexan and are painted for advertising purposes only. 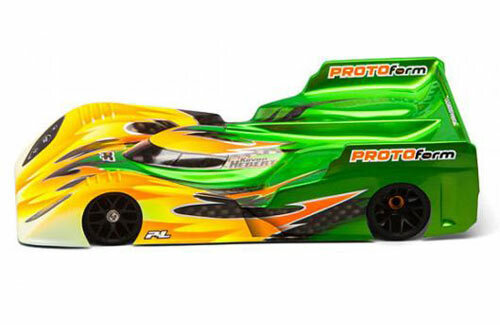 PROTOform�s track record in the ever- popular 1:12 scale on-road class speaks for itself: 6 IFMAR World titles (including the last two), numerous National, IIC and Snowbirds titles. The all-new PROTOform TR-12 hopes to carry on that legacy. Input from our team of drivers was used to improve the shape, while taking styling cues from a highly-successful factory-works hybrid LMP that made its debut at the 2012 24 Hours of Le Mans, then went on to win 3 WEC series races. 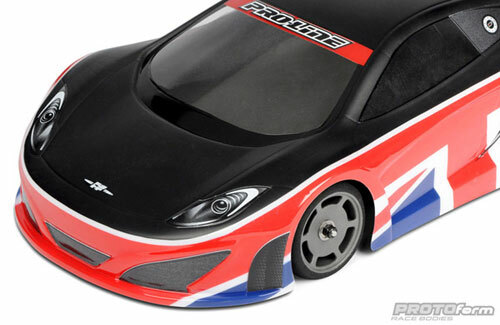 The TR-12 includes a large center �dorsal fin� to improve high-speed stability for those ultra-fast modified cars. Unique spill-plate profiles and side air channels give the body an unmistakable look on the track while adding functionality. 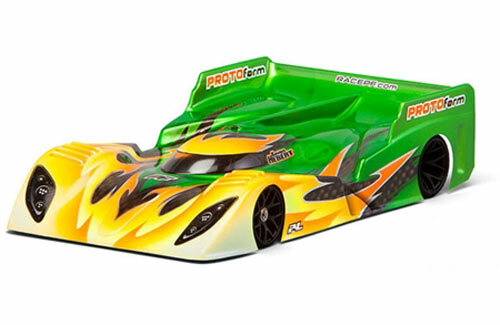 It fits all EFRA/IFMAR, BRCA, ROAR and JMRCA body rule requirements, and includes headlamp decals - as per ROAR rules. The TR-12 is produced using LW .020� lexan with protective film and includes window masks and decal sheet. 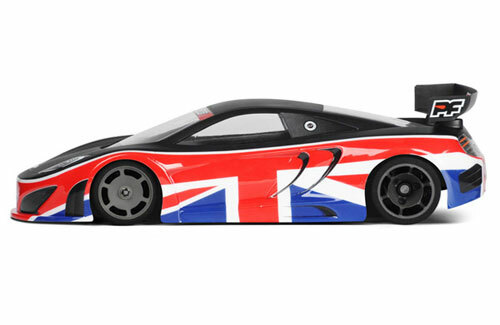 Aimed at 1/12 On-Road racers who want close, competitive, scale-looking racing without breaking the bank, GT12 is a brand-new class that has emerged in the UK with the potential to spread to carpet tracks around the globe. 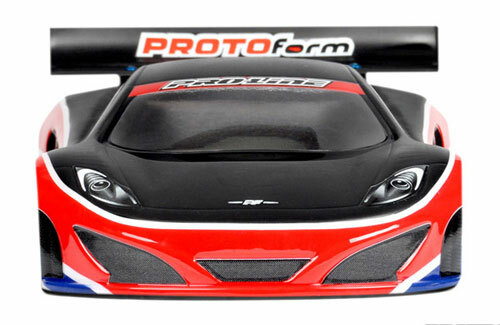 Introducing PROTOform's first race body for the GT12 class: the PFM-12. 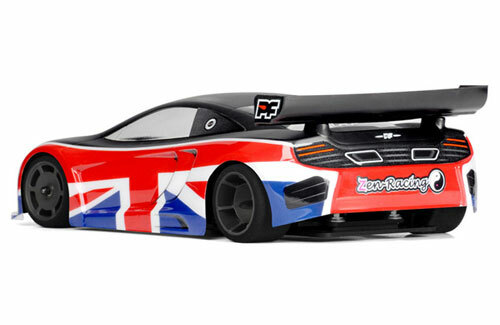 Inspired by the supercars that call the esses of Silverstone and Brands Hatch home, this BRCA-Approved race body features a low-slung, cab-forward design sure to provide exceptional handling characteristics.